Virtual environments are increasingly being called upon to advance science learning. With possibilities for interactive multimedia displays and learner customization, these environments hold great promise. But are these environments friendly to girls? Computer games, designed by young men for boys and young men, epitomize technology’s exclusion of girls, their interests, and values. Less obvious but more devastating, this technological estrangement exacerbates girls’ lack of interest and self confidence not just in computers but in science. Technology itself and even the design of technology-enhanced science experiences may disadvantage girls, turning them away from SMET instead of engaging them. Experts urge more women and girls to become involved in software and hardware design, to begin to transform computer culture. The “Involving Girls as Designers” (IGD) project will look at what can happen when girls design their own technology-enhanced science learning experiences. Do girls and boys approach the design process differently? If so, what are the characteristics of a girl-friendly design process? Do all-girl design teams create products that are more appealing to other girls than products designed by all boy teams? Are gender differences more strongly polarized by the end of middle school, or are they equally evident even in fifth grade? IGD will invite small teams of girls to experience and critically assess a series of high quality science-learning experiences diverse in their technology and extent and form of interactivity, ranging from planetarium show to role play simulated mission to Mars, from CD-ROM games to exploring space science on the web, television to immersive virtual reality. These young, newly expert technologists will then design their ideal science learning experience, with the goal of teaching science and inspiring kids to be interested in SMET. IGD will profile girl reactions to the diverse forms of science learning. The design process and design outcomes of the all-girl design teams will be analyzed and compared to all-boy teams. IGD will compare fifth grade girls (whose enthusiasm for science parallels boys) with eighth grade girls (whose enthusiasm and self confidence in science has declined), looking for similarities and differences in technology attitudes, design process, and design outcomes. Professional software developers will create visualizations of each team’s prototype. With no indication of the gender of the designers, each set of visualizations will be shown to same-age students to discover whether boys and girls prefer prototypes developed by their own gender. IGD will test the assertion that involving girls as designers can impact design process and product and describe gender and age differences. IGD will contribute concrete understanding of girls’ attitudes toward diverse forms of technology-enhanced science learning. IGD could provide compelling evidence to software developers about the critical importance of involving girls as designers and ways of enabling girl-friendly design processes. IGC could provide guidance to teachers and curriculum designers about choosing among technology-enhanced science learning experiences. The PIs teach graduate design research classes (in education and digital media design). They will involve their students in the research and integrate findings into their courses. 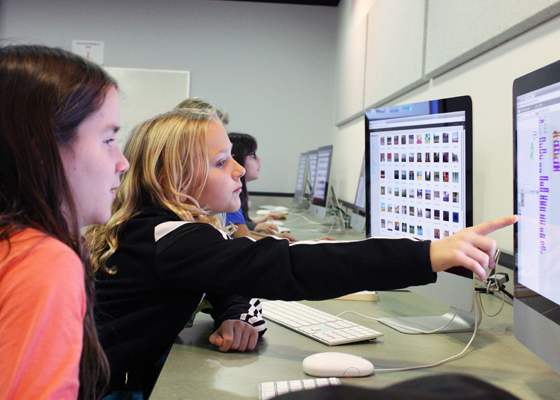 New understanding about girl-friendly science education designs will be incorporated into the Mars Pioneer Learning Adventures initiative and into the overall Comm Tech Lab software design process and College of Education and Digital Media Arts curricula. This project had been funded by the National Science Foundation and began in January, 2003.